The review aims at highlighting the significant developments in the field of polymer-montmorillonite clay based nanocomposites with specific focus on synthetic methodologies used, characterization, and evaluation of relevant bulk properties of these composites. Synthetic procedures include (a) monomer impregnation of clay followed by polymerization, (b) intercalation of monomers/polymers in clay, and (c) clay exfoliation techniques. Structural and morphological characteristics of selective composite systems as studied by X-ray diffraction, scanning electron microscopy, and transmission electron microscopy have been discussed. 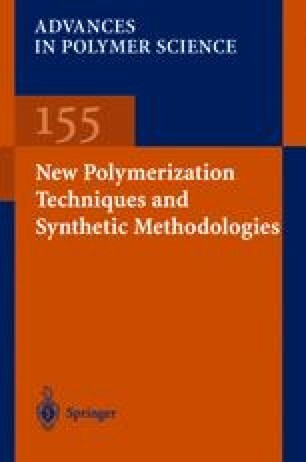 Results of thermogravimetric analysis of various nanocomposites endorsing the general enhancement of the thermogravimetric stabilities of the polymer-based composites relative to the base polymer and application of differential scanning calorimetry for studying delamination and cooperative relaxation phenomenon in these composites have been reviewed. Conductivity characteristics of various composites and manifestation of conductivity anisotropy in several systems have also been discussed. The prospects of application of the montmorillonite-polymer nanocomposites as high performance materials in several applications have been discussed.